Theodemocracy was a theocratic political system that included elements of democracy. It was theorized by Joseph Smith, founder of the Latter Day Saint movement. According to Smith, theodemocracy was meant to be a fusion of traditional republican democratic rights under the United States Constitution with theocratic principles. Smith described it as a system under which God and the people held the power to rule in righteousness. Smith believed that this would be the form of government that would rule the world upon the Second Coming of Christ. 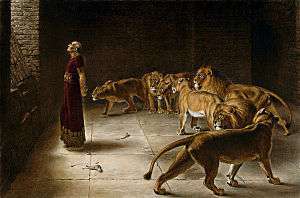 This polity would constitute the "Kingdom of God" which was foretold by the prophet Daniel in the Old Testament. Theodemocracy was an influence for the short lived State of Deseret in the American Old West. Early Latter Day Saints (Mormons) were typically Jacksonian Democrats and were highly involved in representative republican political processes. According to historian Marvin S. Hill, "the Latter-day Saints saw the maelstrom of competing faiths and social institutions in the early nineteenth century as evidence of social upheaval and found confirmation in the rioting and violence that characterized Jacksonian America." Smith wrote in 1842 that earthly governments "have failed in all their attempts to promote eternal peace and happiness...[Even the United States] is rent, from center to circumference, with party strife, political intrigues, and sectional interest." Smith's belief was that only a government led by deity could banish the destructiveness of unlimited faction and bring order and happiness to the earth. 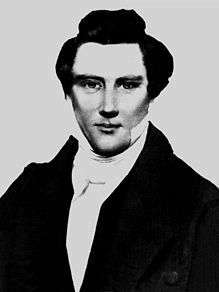 Mormon Apostle Orson Pratt stated in 1855, the government of God "is a government of union." Smith believed that a theodemocratic polity would be the literal fulfillment of Christ's prayer in the Gospel of Matthew, "Thy kingdom come, Thy will be done in earth, as it is in heaven." Further, Smith taught that the Kingdom of God, which he called the restored gospel of Jesus Christ, would hold dominion in the last days over all other kingdoms as foretold in the Book of Daniel. Smith stated in May 1844, "I calculate to be one of the instruments of setting up the kingdom of Daniel by the word of the Lord, and I intend to lay a foundation that will revolutionize the world...It will not be by sword or gun that this kingdom will roll on: the power of truth is such that all nations will be under the necessity of obeying the Gospel." In 1859, LDS President Brigham Young equated the terms "republican theocracy" and "democratic theocracy", and expressed his understanding of them when he taught, "The kingdom that the Almighty will set up in the latter days will have its officers, and those officers will be peace. Every man that officiates in a public capacity will be filled with the Spirit of God, with the light of God, with the power of God, and will understand right from wrong, truth from error, light from darkness, that which tends to life and that which tends to death.... They will say... '[T]he Lord does not, neither will we control you in the least in the exercise of your agency. We place the principles of life before you. Do as you please, and we will protect you in your rights....'"
The theodemocratic system was to be based on principles extant in the United States Constitution, and held sacred the will of the people and individual rights. Indeed, the United States and the Constitution in particular were revered by Smith and his followers. However, in a theodemocratic system, God was to be the ultimate power and would give law to the people which they would be free to accept or reject, presumably based on republican principles. Somewhat analogous to a federal system within a theodemocracy, sovereignty would reside jointly with the people and with God. Various inconsistencies exist in this framework, such as how humans could resist the laws of an all-powerful God, or how citizens could be assured that the authority of God rather than the humans interpreting His will was being exercised. While Christ would be the "king of kings" and "lord of lords," He would only intermittently reside on Earth and the government would largely be left in the hands of mortal men. Young explained that a theodemocracy would consist of "many officers and branches...as there are now to that of the United States." 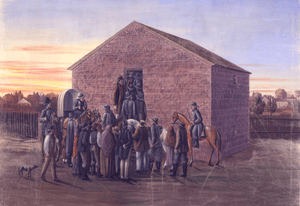 It is known that the Council of Fifty, which Smith organized in Nauvoo, Illinois in 1844, was meant to be the central municipal body within such a system. The Council was led by Smith and included many members of the LDS central leadership. However it also included several prominent non-Mormons. Full consensus was required for the Council to pass any measures, and each participant was encouraged and in fact commanded to fully speak their minds on all issues brought before the body. Debate would continue until consensus could be reached. However, if consensus could not be reached, then Smith would "seek the will of the Lord" and break the deadlock through divine revelation. Smith first coined the term theodemocracy while running for President of the United States in 1844. It is also clear that this concept lay behind his organization of the secretive Council of Fifty that same year. But it is uncertain whether Smith believed that he could or should form a functioning theodemocratic government before the advent of the Second Coming and the destruction of worldly political systems. Mormon belief in an imminent Second Coming continued throughout the 19th century, and their expectation of the violent self-destruction of governments seemed to be confirmed by such events as the American Civil War. Orson Pratt taught, "not withstanding that it has been sanctioned by the Lord...the day will come when the United States government, and all others, will be uprooted, and the kingdoms of this world will be united in one, and the kingdom of our God will govern the whole earth...if the Bible be true, and we know it to be true." Thus, while the Saints sincerely proclaimed their loyalty to the United States throughout this period, they also expected its unavoidable collapse along with other worldly governments. This in turn would require the Latter-day Saints to bring order to the resultant chaos and "save the Constitution" by implementation of a true theodemocracy. 1 2 Times and Seasons, 5:510. ↑ Hill 1989, p. 56. 1 2 Journal of Discourses 3:71. ↑ Joseph Smith, History of the Church, 6:365. ↑ Journal of Discourses 6:336-7. ↑ Journal of Discourses 6:345-6. ↑ Historian D. Michael Quinn notes that the minutes of the Council of Fifty contains hundreds of pages of Joseph Smith's teachings about the U.S. Constitution and its meaning for the Latter-day Saints. ↑ Journal of Discourses 6:336. ↑ "We, the People of the Kingdom of God": Insights into the Minutes of the Council of Fifty, 1844-1846". fairmormon.org. The Foundation for Apologetic Information and Research,. Retrieved 16 October 2016. ↑ Nauvoo was designed so as to give the Latter-day Saints a maximum of self-governance. For the nine years previous to their settlement in Nauvoo, the Mormons had been under the political control of non-Mormons. As a result, they had found little redress from the government on any level for mob violence and other injustices inflicted upon them. It was therefore believed that a government which they controlled (in tandem with friendly non-Mormons) could defend them from future persecution. Having relied upon their religious leaders to defend them when they were ignored by the secular government, these same ecclesiastical leaders became natural choices for positions of civic responsibility once the Mormons had gained control of their own municipality. These leaders were overwhelmingly supported in city elections, and were also given position of authority in the local militia, the Nauvoo Legion. However, this arrangement had emerged in Nauvoo years before Smith coined the term "theodemocracy" or organized the Council of Fifty. Indeed, Smith became mayor of the city only after the city's first mayor, John C. Bennett, was forced to resign his office for various improprieties. ↑ Journal of Discourses 17:156-57. ↑ Andrus 1999, p. 12. Andrus, Hyrum L. (1999) , Doctrines of the Kingdom, Salt Lake City: Deseret Book, ISBN 1-57345-462-1, OCLC 42606090 .